Fun card, Shirley! Love those flowers in the jar and your coloring! 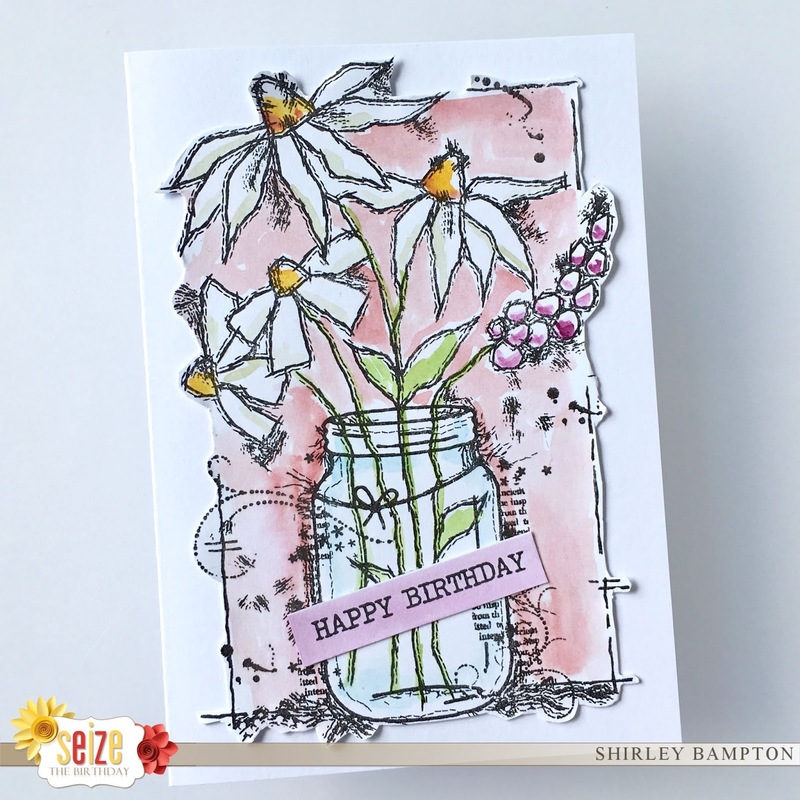 Stunning card, Shirley! Love these beautiful flowers and the soft coloring you gave them! Lovely card Shirley. Love the jar of daisies and fun background. Love this stamp, it looks like you did a quick pencil sketch and then water colored it. Super cute. You just added the 'water in a jar' choice, didn't you? He he! But I do love the card - water in the jar - very innovative. Its such an essential part in images like that, but often overlooked, but here, in this card, it becomes one of the essential components! And I totally love the image you've used too! beautiful card Shirley, love this stamped image with the stitched lines around the actual image. Fabulous colouring as always. This card looks like something I would find in a boutique. It's so fabulous Shirley! Your work astounds me! Beautiful watercoloring Shirley, and what a great image that is! 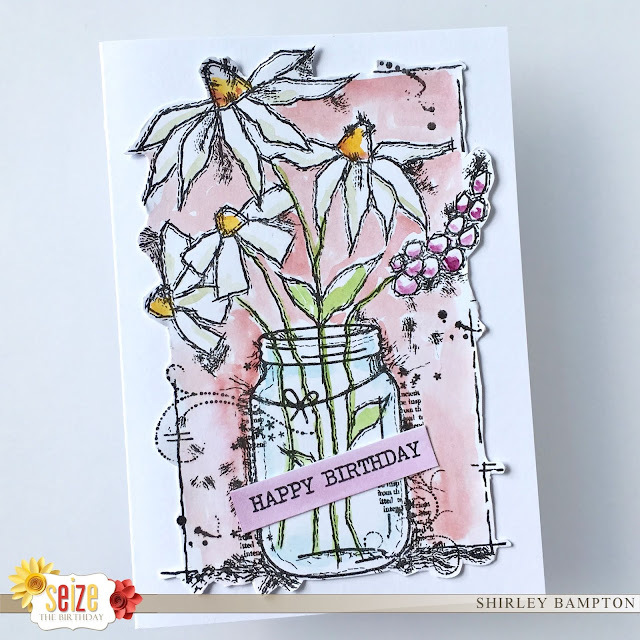 I love the doodled border and the elements surrounding the jar.